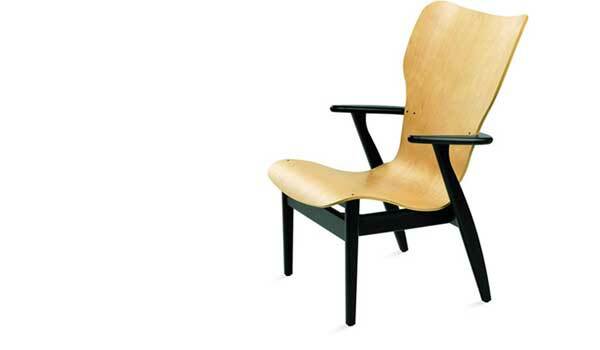 Material: Seat/back of plywood, base and arm­rests of solid birch. Optionally upholstered with leather or fabric of choice. Size: H.86,5, W.59, D.70,5 cm. Domus lounge chair on display in our showroom. Delivery time approx. 3-4 weeks. Please use the information request link below to get a qoute including shipping.